I’m going to start this off by saying, I don’t get out much. I’m not really one for leaving the comfort of my room, so I don’t have all that much experience with nature. If you asked me about video games, I’d be here all day talking. I digress. Our first real day at Mickey Mouse’s home was spent in Epcot, which is seriously one of the most impressive theme parks without any real rides. I’m sure you’re reading this and asking, “what does Epcot have to do with nature?” Well, not only is Epcot filled with cultural experiences, it also had many unexpected nature attractions. Now, if you know me, you know I have a very short attention span. So, while my cousins argued over which country to visit first – Japan or Mexico – I was observing my surroundings. First off – huge place. You don’t know where to look first. I am particularly fond of animals, so I always look for water, because where there’s water, there’s birds. And birds lead to all kinds of little woodland creatures, and who better to foster woodland babies than Disney? There were tons and tons of ducks, and I watched them swim about, not paying any mind to the enormous amounts of people around them. It was quite beautiful, really. Imagine not caring about anything but the direction you’re heading in. Other than visiting Japan, watching the ducks was probably the highlight of the day for me. It made me wonder if anyone else had taken the time to even notice them. Had it only been me that cared enough to stop and watch them for a while? Probably not, but nature sometimes is a shared experience, and sometimes you just go it alone. 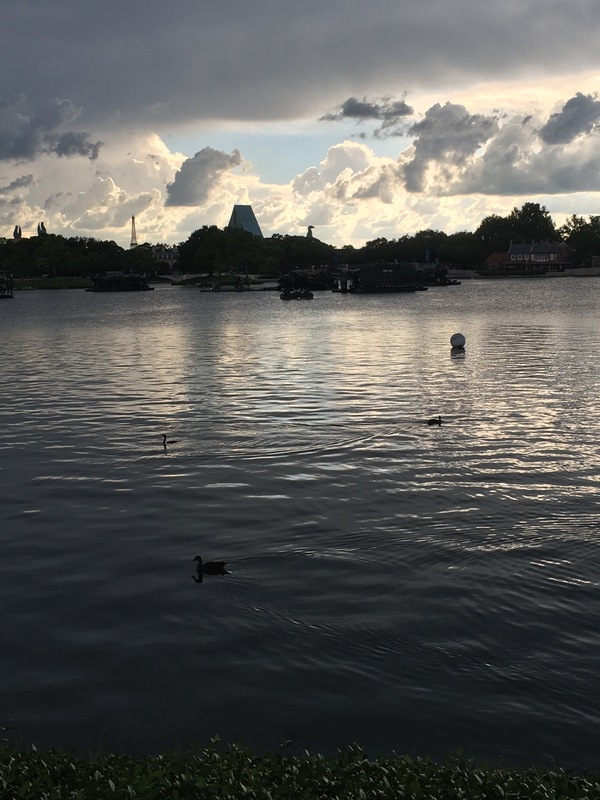 I prefer to be by myself, but I feel that at a place as big as Epcot, or even Disneyland itself, even a solitary experience is shared with everyone around you.